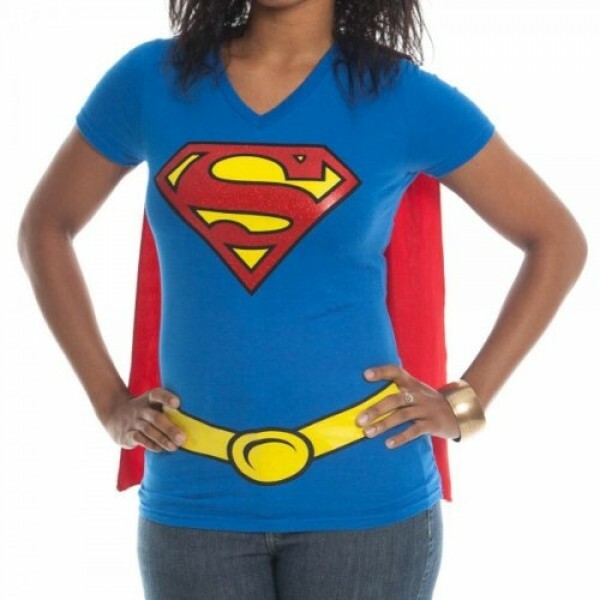 Up, up and away with this Supergirl caped T-shirt! This 100% cotton T-shirt features Supergirl's iconic costume -- complete with cape. The cape is attached with Velcro, so it can be easily removed. Perfect for day to day wear or as part of a costume. Available in juniors sizes small (US size 3 - 5) to extra-large (US size 13). For more Supergirl-related items, visit our Supergirl Collection. For more superhero-related t-shirts, toys, books and other items, visit A Mighty Girl's Superhero Collection.